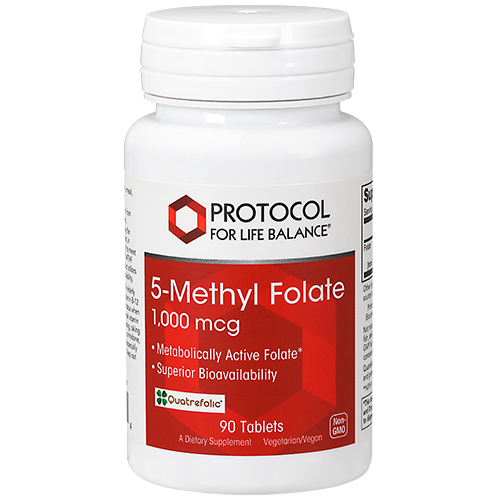 How it Works: Folic acid consumed in the diet or from supplements must be converted to its active form, 5-Methyltetrahydrofolate (5-MTHF), to be used by the body. This is a multi-step biochemical process that, in some circumstances, may not be efficient enough to meet the body’s needs. In addition, unlike folic acid, 5-MTHF can penetrate the blood-brain barrier. 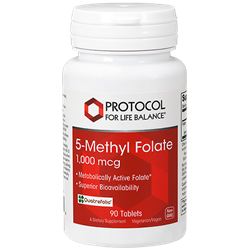 This product utilizes a patented form of 5-MTHF with superior bioavailability. Cautions / Interactions: For adults only. The elderly and individuals with conditions that may impair vitamin B-12 absorption should frequently check vitamin B-12 status when taking this product as high-dose folic acid may mask vitamin B-12 deficiency. Consult physician if pregnant/nursing, taking medication (especially phenobarbital, phenytoin, primidone, and methotrexate), or have a medical condition (especially any condition involving nutrient malabsorption). Keep out of reach of children.